Many optical sensors rely on a shift of wavelength as the response to a stimulus. The challenge is that the wavelength shift is typically very small, on the order of a picometer, and massively parallel readout is desired. Conventional interrogation instruments do not offer all of the required features: high spectral resolution, broad spectral range, high read-out speed, robustness and compactness, reasonable cost/complexity, and ability to spatially resolve the signal. PARC has developed a breakthrough “wavelength shift detector” technology capable of monitoring light sources and reading signals from wavelength-encoded optical sensors with unprecedented resolution in a compact, low-cost unit. The PARC technology is applicable for interrogating fiber optic (FO) sensors (e.g., fiber Bragg grating sensors) as well as colorimetric sensors. At PARC, our unique interdisciplinary teams across hardware and software have enabled the development and applications of our wavelength shift detector technology. We’re at the cutting edge of developing hardware for FO sensing that will dramatically reduce the cost and size of the device. In addition, our data science team has extensive experience developing models for energy system and structural health monitoring. Working prototypes of PARC’s wavelength shift technology are available. Conceptually, our wavelength shift detector technology can be described as a photo detector which measures the wavelength centroid of incoming light while being insensitive to its intensity. 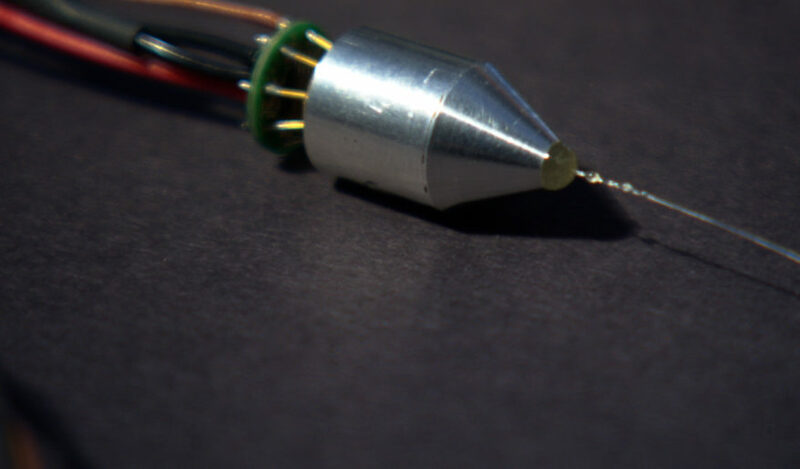 The initial development of this technology focused on interrogating wavelength-encoded optical fiber sensors. This approach is suitable to measure a relative change of the centroid wavelength as small as 10‒8. Such a wavelength resolution can typically only be achieved with delicate interferometric techniques. In contrast to interferometry, our technique does not require a given spectral width of the of wavelength distributions. In contrast to other approaches, the determination of the centroid is not significantly impacted by the spectral width of the incident light. Therefore, the technique is well suited to interrogate broad wavelength distribution as, e.g., being reflected or transmitted by colorimetric sensors. 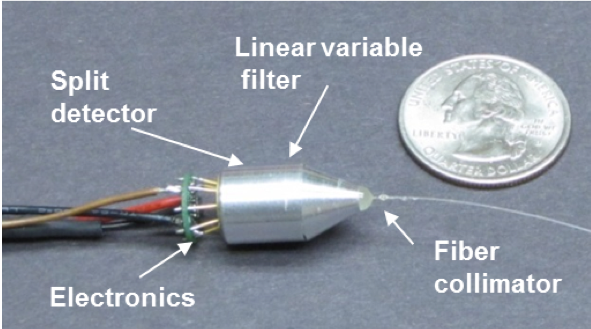 The wavelength centroid detector is capable of monitoring tiny (sub-pm) changes of the wavelength centroid of broadband (e.g., 100nm FWHM) light source. Our work is centered around a series of Focus Areas that we believe are the future of science and technology. We’re continually developing new technologies, many of which are available for Commercialization. PARC scientists and staffers are active members and contributors to the science and technology communities.